Tampere is known as one of the top Centres of Excellence for imaging in the world due in part to the rich mobile technologies heritage, as well as university research in signal processing and imaging. New Axon research and development site opens in Tampere, Finland. The Axon press release stated that the new development unit will focus on enhancing the capabilities of Axon’s future wearable and in-car cameras and developing a platform for future advancements that leverage Augmented Reality (AR), Virtual Reality (VR) and Artificial Intelligence (AI). The press release was soon picked up by several news sites, such as Business Insider. The team begins work today from Axon’s new research and development office based in Tampere, Finland. The decision to develop Axon’s next generation solutions in Tampere followed comprehensive investigations, during which Business Tampere presented the benefits of the region as an R&D site. The region boasts the Tampere Imaging Eco-system, an active community of imaging related companies and researchers, coordinated by Business Tampere. Axon stand to benefit from this as others such as Huawei, Intel and Nokia have already. Since the closure of the Microsoft Mobile office, other companies such as PowerVision from China, PoLight from Norway and Behr-Hella Thermal Control from Germany, have moved to Tampere to snap up the former smartphone pioneers, and a number of hot imaging start-ups such as Grundium and NomiCam have also emerged. “I am delighted to welcome Axon to further enhance our Imaging ecosystem! 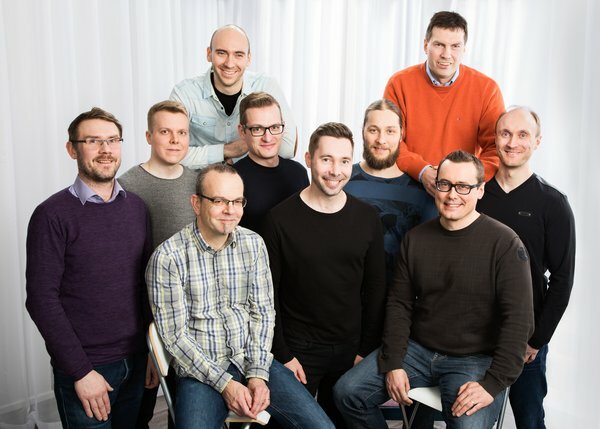 Tampere is a great place to develop camera products and I’m sure they will realize benefits quite quickly given the experience of the Tampere team. Our team was happy to support Axon’s investigations, and delighted to secure a new investment after just a few months process. We provide our clients a turnkey solution and providing information and guidance on everything from talents to setting up the legal entity,” says Mr. Oliver Hussey, Senior Business Advisor at Business Tampere.